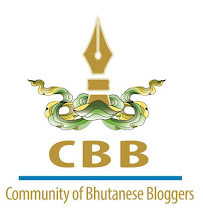 The couple who authored Thimphutech.com-the blog that kept Bhutan informed about everything regarding telecommunication technology so far said good bye to Bhutan this morning. The couple, Boaz Shmueli and Galit Shmueli and their daughter Michal, whom I fondly call Bhutan Baby after her blog title, lived in Bhutan for many years working with Rigsum Institute where they worked on developing software solutions. Their last project and memorable one was the Rigsum Sherig Collection, which is a collection of 28 GB of Educational resources for students that is freely distributed. It was this project that brought us together and when they left they had launched RSC 3.0. Our Families at their Farewell Party. Readers of K2 Magazine every Saturday will miss their regular column Ask Boaz because there is no more asking Boaz from this Saturday, he said though he could write from his new place of work but he won't be able to deliver accurate answers to Bhutanese questions from overseas. Thank you Boaz for all the contribution you made to Bhutan. Hope your wonderful family will return to Bhutan someday and continue the journey. We will miss you guys. ohhh... I will be missing Boaz Shmueli. yes for sure he had contributed a lot regarding ICT through K2 and his blog. though I have never meet him in person, I am sure he will keep sharing his knowledge through his blog. goodbye to the shmueli family!